During the 1960s, when Sean Gallagher—now a retired school teacher living in the shadow of majestic Mount Rainier—was 16, his mother took him fishing for steelhead on the Skagit River in Washington State. She hired a guide who reminded the young Gallagher of a rough-hewn Charles Bronson in hip boots. When the boat of a competing guide came roaring around the bend, their guide reached for a pistol, aimed it in the direction of the intruder, and blasted away. The stunned teenager’s instantaneous reaction was to consider jumping overboard. Instead, the episode ignited a passionate pursuit of the giant sea-run rainbow trout that has driven him for half a century. During the 1970s, when a friend appeared at Gallagher’s door at daybreak with a vodka and orange juice and an invitation to join him on the river, Gallagher weakly protested but happily gathered his tackle. And away they went. The two were back in time for Sean’s wedding that day. 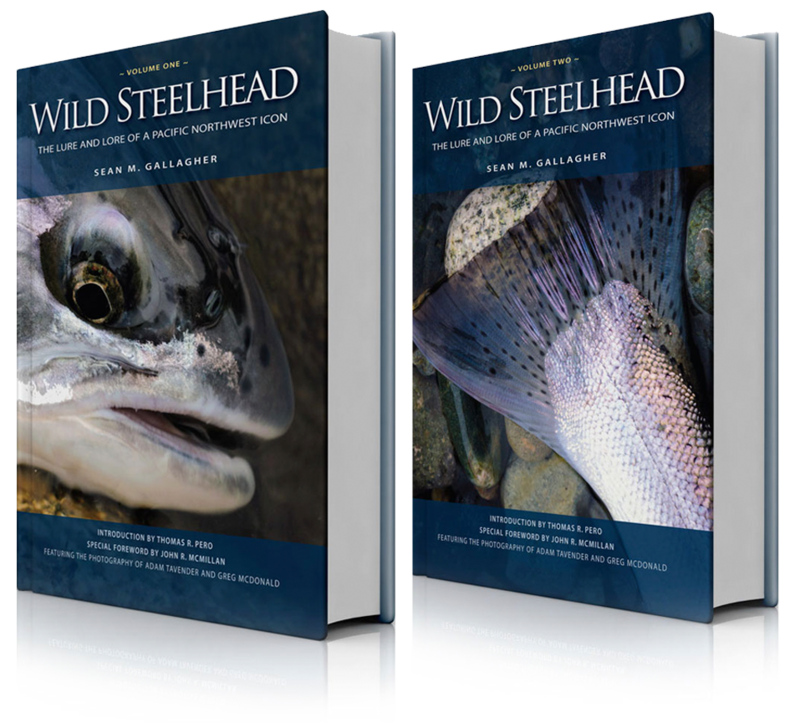 These and many other rich tales are told in an engaging conversational style by Sean M. Gallagher in an impressive new book called Wild Steelhead—The Lure and Lore of a Pacific Northwest Icon. The two-volume slipcased set is lavishly illustrated with more than 1,000 striking new color and vintage black-and-white photographs. 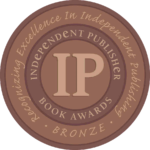 Like Wild River’s other titles, which have won a string of national awards for editorial and graphic excellence, Wild Steelhead is ambitious. A very full 673 pages, this huge all-color book chronicles decades of the swashbuckling fishing adventures of the author and his friends, from wilderness rivers in Alaska and British Columbia (with more than a few harrowing bear encounters), to familiar home waters in California, Idaho, Oregon and Washington. 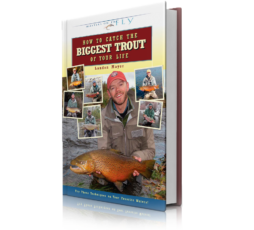 Although not a how-to instructional guide, there is plenty of hard-won wisdom and advice here, both from Sean himself and from the baker’s dozen anglers he invites to share their memorable stories “around the campfire” about steelhead caught and steelhead lost. Collectively, these experienced anglers have waded Pacific Northwest rivers for nearly a millennium. Their stories weave a priceless tapestry of extraordinary sport and special places, some sadly lost. George McLeod, a 92-year-old steelheader from Washington survived 30 bombing missions over Germany during World War II; as a youngster he had caught his first dry-fly steelhead in the Stillaguamish River north of Seattle in 1929. Years later he helped invent the modern sinking fly line. Pete Soverel, a former U.S. Navy captain who worked in President Reagan’s White House, tells a remarkable story of teaming up with the ex-C.I.A. chief of Europe to forge an unlikely partnership among American and Russian government agencies and international anglers to conduct breakthrough scientific investigations on the pristine steelhead populations spawning in remote rivers on the Kamchatka Peninsula. 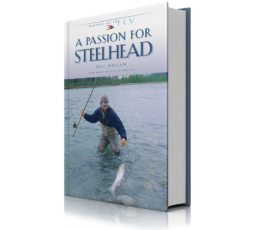 For many knowledgeable steelheaders who cherish their sport’s deep traditions, the most poignant feature of Wild Steelhead is the glowing 50-page tribute to the late Harry Lemire, who died when the book was still being completed. Lemire is widely regarded as one of the great innovative steelhead fly designers of all time. 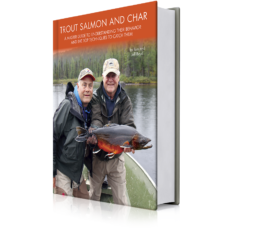 Publisher Tom Pero and the author brought a professional photographer to their interview session to capture the feel of Harry’s fly-tying den, his favorite rods from through the decades, even his handcrafted wading staff. 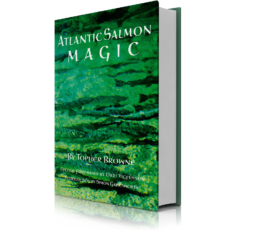 The effect is about as close as any of us will now get to a personal visit with the legendary steelhead angler and, by all accounts, a real gentleman.